We are thrilled to hear that former Assistant Organist, Dr David Bednall, has been signed to a long-term publishing agreement with Oxford University Press. David Bednall is recognized as one of the leading choral composers of his generation and studied for a PhD in Composition with Professor John Pickard at the University of Bristol. He is a Teaching Fellow and Organist of The University of Bristol, Sub Organist at Bristol Cathedral and Director of The University Singers. He studied with Dr. Naji Hakim and David Briggs and was Assistant Organist at Wells from 2004-07. Whilst at Wells, David was commissioned to write a number of works by Matthew Owens and, as a result of this, Wells Cathedral Choir recorded a CD of these works and others. The disc, Hail, gladdening light was extremely well received and gained the accolade of Gramophone Editor's Choice. The choir went on the record a second disc of David's work, Flame Celestial. David's career as a composer has since gone from strength to strength. In November 2008 his Requiem was premiered in St James’s Church, Spanish Place with St Mary’s School, Calne, Edward Whiting (Director) and Philip Dukes (Viola) to great acclaim and was given its US Premiere in St Mary the Virgin, Times Square, New York. This work has been recorded by these forces and released on Regent Records to great critical acclaim. His largest work to date, Welcome All Wonders – A Christmas Cantata, commissioned by The Queen’s College, Oxford was premiered by them in November 2011; they have released this work on Signum also to superb international critical acclaim. 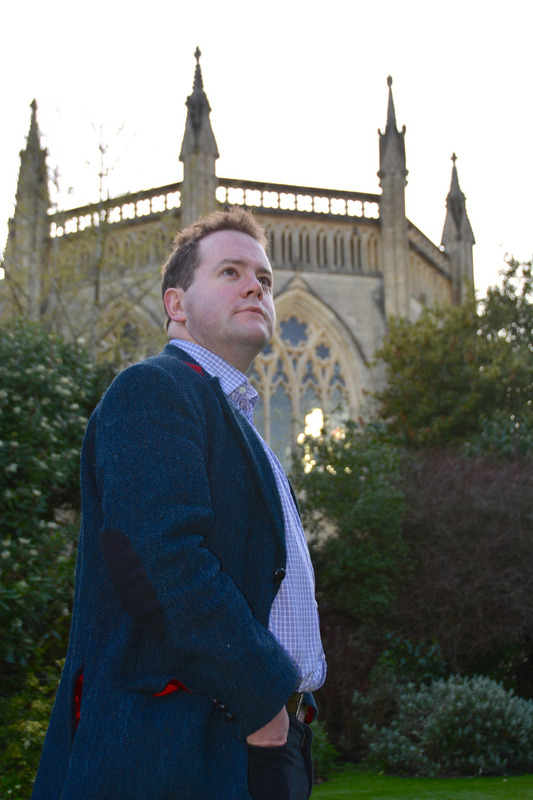 His 40–part motet Lux orta est iusto closed the Bristol Proms 2015, and he was commissioned by the Finzi Trust to write a Gloria and Nunc dimittis to accompany Finzi’s setting of the Magnificat for the Three Choirs Festival 2016. David's Stabat Mater was premiered in New York in 2015, and the recording of this on Regent with Jennifer Pike (violin) and the Chapel Choir of Benenden School under Edward Whiting was an Editor’s Choice in the Awards Edition of Gramophone 2016. Recent projects have included a BBC Commission for James Gilchrist, Philip Dukes, and Anna Tilbrook which was premiered in Hull, City of Culture, in July 2017. We offer David out heartiest congratulations and look forward to hearing more of his music. We are also delighted that David is performing in a concert in aid of Wells Cathedral Chorister Trust on Wednesday 17 October when he will be improvising a soundtrack (another of his many skills!) to the silent film The Hunchback of Notre Dame. More details will follow closer to the time.